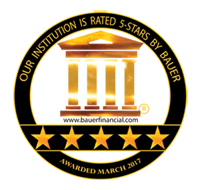 December 2017: BauerFinancial Coral Gables, Florida, the Nation’s Premier Bank and Credit Union Rating Firm, is proud to announce that U-1st Community FCU, Carlsbad, New Mexico, has once again secured a 5-Star rating. What a great way to start 2018! (A five-star rating indicates the credit union excels in areas of capital adequacy, profitability, asset quality and much more.) U-1st Community F.C.U. has earned Bauer’s Recommendation (5-Stars or 4-Stars) for 42 consecutive quarters. Established in 1955, U-1st Community FCU has been reinvesting in its members for 62 years. 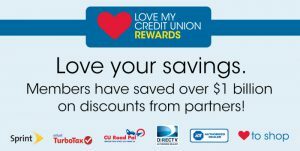 It currently operates through a conveniently located office on North Canal Street in Carlsbad and can also be found online at u1stcommfcu.net. Member of the NCUA and an Equal Housing Lender. BauerFinancial, Inc., Coral Gables, Florida, the nation’s leading independent bank and credit union rating and research firm, has been reporting on and analyzing the performance of U.S. banks and credit unions since 1983. No institution can pay for or opt out of BauerFinancial rating. Consumers may obtain free star-ratings by visiting bauerfinancial.com.